It's been a while since I blogged about a book, and I thought maybe I should do some sort of update. But I haven't finished any books recently, so what would I blog about? This is my current reading challenge - I have three books on the go, and I'm enjoying all of them simultaneously. As you can see they are all very different. This is a new personal challenge for me. Juggling the different genre's and formats. So why am I trying this? I started with The GL & PPP Society, but found the letter read a little monotonous as first. I also borrowed this book and it's far too nice a book cover to carry it on the train in my bag every day. So I started Frida's Bed (part of my lost in translation challenge) becuase it's a smaller book and easy to carry. Juggling two wasn't too bad, until I threw in the Medieval Writings on Female Spirituality. I wanted to read this (or parts thereof) before easter, so I thought I should start sooner rather than later. I promise to give each one a proper review and 'closure' when the time is right. But for now here this is what's in my 'to read' pile. The bush setting I grew up in. My sisters, my cousin and Me. It's 26 years since the Ash Wednesday Fires that hit Victoria and South Australia on Feb 16th 1983. I was in Yr 11 at school and I remember distinctly that day, the smells, the stress and the confusion. I recall being told not to return home on the school bus to our 150 acres of bus, to take care that my sisters were OK, and I recall how the stories off loss and tragedy started to come in. We were so very very lucky that the fires didn't reach our property and the national park that joined us. But neighbours weren't so lucky. Rebuilding is OK for some, but others just cant live in the same place again. This week my heart goes out to all those who live in the area's affected by the fires. To those kids like me, who will recall this event for the rest of their lives, to those parents who will remember the day they told their kids not to come home. And to all those families who lost loved ones. There are many ways to help, and making a donation can help a lot. I've moved my Thyme for Social Action gidget up on my side bar, and made a link to Habitat for Humanity. This is one NGO I like to support. They currently have a Victorian Appeal - and will work effectively and respectfully with local families, governments and local businesses to help families who cannot afford to rebuild, or dont have insurances. . I note that my friend Jacqui at Life in the Dome, has also made some links to Victorian Wildlife who will also have a big job ahead of them. Please consider what you can offer. 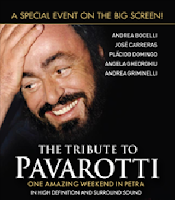 This meme is from BookBath, I liked it so I'm doing it too..
Last night I went to see the film "A Tribute to Pavarotti'. I had no idea really what it was going to be like, and I thought there'd be more of the Maestro himself in the show. However, I really enjoyed it. It was a concert put on by his partner, friends and peers, to celebrate his life. It was located in this amazing outdoor setting in Petra, Jordan at the UNESCO World Heritage site. My favorite artist, other than Pavarotti, was Andrea Bocelli who is bling, but gorgeous and to die for voice.. The were a couple of duets that involved Pavarotti himself (through film) and a fun operatic duet between Sting and Angela Gheorghui. If you like Opera, and loved him, it's worth it. This is my coffee mug for today, it's from OXFAM and it says 'its only fair'. I like the mug for several reasons - it's meaningful, it's pretty, it's big, and it's part of making the world a better place. I have fair trade coffee in it too. My partner and I are committed to supporting Fair Trade through a range of different ways. It's easy to do this, and it's important. Oxfam says Most of the world's coffee beans are produced by small-scale farmers in developing countries. Because they have little bargaining power in an industry dominated by a few large and powerful international coffee companies, they are forced to put up with low and unstable prices for their beans. Look for opportunities to buy fair trade, they're more plentiful these days, and see just how easy it is to make a difference. See my Thyme for the Earth corner for references to other things you can buy fair trade and ethically. It's a gorgeous Summer's Saturday and my bougainvillea is looking stunning in the sunlight. I thought I would give a bit of a garden update today. I am pretty happy with how the gardens growing, although I have a furry caterpillar plague on my Rhubarb.. any hints?? This weeks producers include celery, carrots, snow peas, zuccini, basil, parsley, last crop of lettuce. Fruit - I have 3 multigrafted citrus trees. This means they can produce different varieties. This will be the first year we've got more than one fruit on the trees - in total about 9 fruit. I dont know what they are yet?? but I've put all the fruit into protection bags because we're prone to fruit fly here. I got my bags from Green Harvest. Banana - the hand of banana's is still hanging, doesn't look much different since the last photo, but at least its still there. Old lemon tree - My partner decided it was time to prune the old dear. She still produces fruit plentiful for us and friends, although she's rotting through at the base. We dont know how long she'l stay standing. Garden tip of the week: dont forget when you plant a grafted tree or vine, watch it for new growth under the graft. Cut this off as it will grow stronger than the variety you paid for. New growth above the graft is good news. We just planted a grafted passionfruit and Im nipping the buds below the graft each week.